You are viewing Molly Wetta's post archive. Volunteer for YALSA Book List Committees and Selected Lists! Continue reading Volunteer for YALSA Book List Committees and Selected Lists! During the last working weekend before I took time off for graduate school, a teen volunteer emailed me. He had transformed Ms. Chris into a Dungeons and Dragons (D&D) character for the club’s next campaign. This volunteer had initially struggled through his time at the library until he found his purpose: facilitating a middle and high school Dungeons and Dragons club. Watching him gain a more serious attitude and excited to attend shifts, he helped mentor tweens and teen peers during the club. The camaraderie and enthusiasm created helped convert the library into a popular Wednesday night hangout spot, ultimately influencing the addition of Dungeons and Dragons as well more fantasy-related resources to the teen collection. 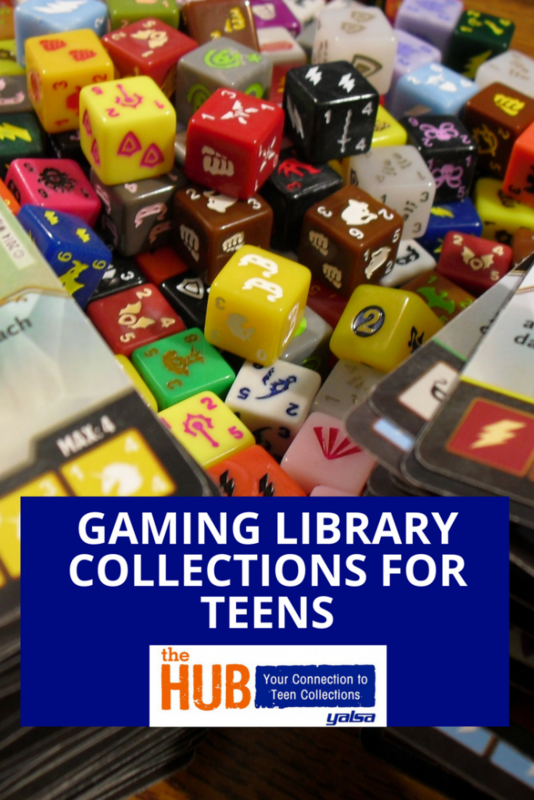 One of the best ways to create an inviting teen library space is by starting a teen-led tabletop gaming club. Using classics like Monopoly, Uno, Apples to Apples, Chess, Heads Up, and Jenga can initiate a starter club if D&D seems a little advanced. If space permits, Twister and Giant Jenga are also hits. These universal games can then become the gateway to other programs and showcasing young adult collections. Greetings! As many of you will already know, Quick Picks for Reluctant Readers and Amazing Audiobooks lists have moved to The Hub in order to provide more in depth coverage of nominated titles and to allow for more virtual volunteer opportunities. (Read all about the details of the transition in this post). I’m happy to say that our new team of Quick Picks and Amazing Audiobooks are now working hard listening and reading to books, and we’ll soon start having blog posts highlighting nominated titles. Announcing the 2017 Hub Reading Challenge! It’s time to kickoff the 2017 Hub reading challenge! This challenge is intended to encourage librarians, library workers, and YA lit enthusiasts to dive into the award winner and honor books and YALSA selected lists with the hope of providing excellent readers’ advisory and even discovering a new favorite title or exploring a genre outside of your comfort zone. The goal is to read any 25 books of the titles from the above lists and awards—find the list of titles here and here in a sortable spreadsheet! 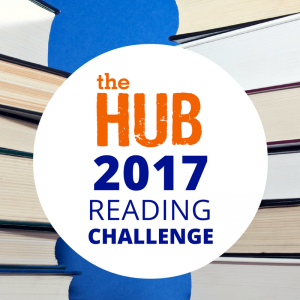 Continue reading Announcing the 2017 Hub Reading Challenge! Amazing Audiobooks and Quick Picks Lists are Moving to The Hub, and You’re Invited to Be a Part of the Team! As many of you know, the YALSA board voted to change the way selected lists committees operate and share their picks for the best books for teens. You can find all the details on the change in Board Member Franklin Escobedo’s blog post on the YALSAblog. Rather than repeat Franklin’s detailed explanation of the rationale for the change, I wanted to offer my own reasons for why I am excited about this process and invite you, Hub readers, to be a part of it! The Hub has always been a collection development resource, highlighting books and other materials and helping librarians and library workers connect the teens they serve with resources that meet their needs and support their interests. We cover everything from podcasts and YouTube videos to manga, anime, and of course, books! But we’ve never really done straight reviews of titles. Continue reading Amazing Audiobooks and Quick Picks Lists are Moving to The Hub, and You’re Invited to Be a Part of the Team! 2016 has been a year that has brought many important conversations about social justice to the forefront: Black Lives Matter, immigration, gender equality, the rights of indigenous people, poverty and economic inequality, LGBTQ rights. 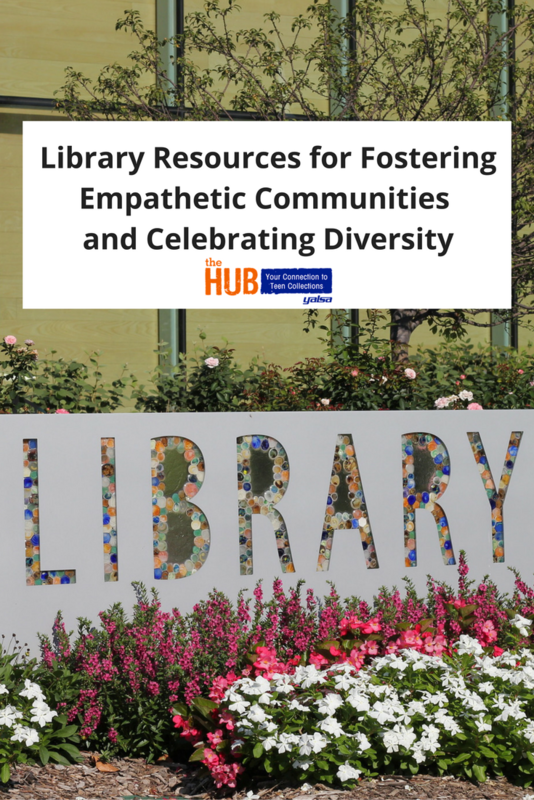 As librarians and library workers who work for and with teens, everyone at The Hub is committed to fostering an empathetic community where all are welcome. This is a round up of posts from the past year that promote tolerance and respect and celebrate people from all backgrounds. This is a post from Anna Kilcullen, a Young Adult & Reader’s Service Librarian at Albright Memorial Library in Scranton, Pennsylvania, who was awarded a Baker & Taylor and YALSA Collection Development Grant. YALSA members who work directly with young adults can apply for next year’s grant until December 1st. 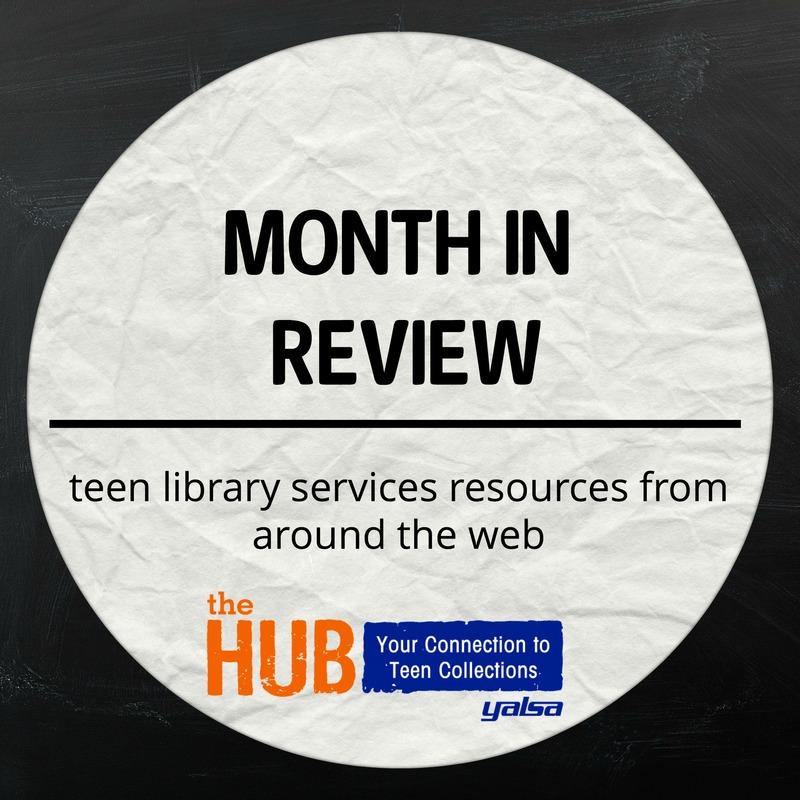 Now that the school year’s back in swing, we’re bringing back the Month in Review roundup of resources for collection development, content curation, and teen library services. An exploration of hi/lo books. Books for fans of The Get Down. An Interview with Francisco X. Stork. 13 Mind-bending YA Books at the NYPL blog. Amanda at Teen Librarian Toolbox has a preview of forthcoming YA titles. Harry Potter and the transformation of fandom at Slate. YA lit for makers at Teen Librarian’s Toolbox. YA author Mindy McGinnis on poverty in YA lit and her new book, Female of the Species. Reading While White did a September-long feature on #OwnVoices books: check out the reviews of Eighth Grade Superzero, It Ain’t Awful, Falafel, Outrun the Moon, and more. At Epic Reads, the 23 most-anticipated YA books out in October. Up your readers’ advisory game with this webinar from NoveList on unlocking the power of pop culture. I.W. Gregorio says “Save a Life — Support a Banned Book” in Publisher’s Weekly. At Teen Services Underground: Dealing with a Book Challenge. School Library Journal shares data from a survey about book challenges and looks at the content of challenged books (spoiler: it’s mostly diverse books). Introducing YALSA’s Backlist Reading Challenge! Do you ever feel like you never get a chance to read older books because you’re so focused on trying to stay on top of new releases and current trends? Lots of young adult librarians and library workers have had a great time participating in the Hub Reading Challenge, which focuses on reading the recent award winners and selection lists, we thought it would be fun to focus on reading older titles from the YALSA awards and lists that you may have missed and always meant to go back to, but just haven’t gotten around to reading yet. 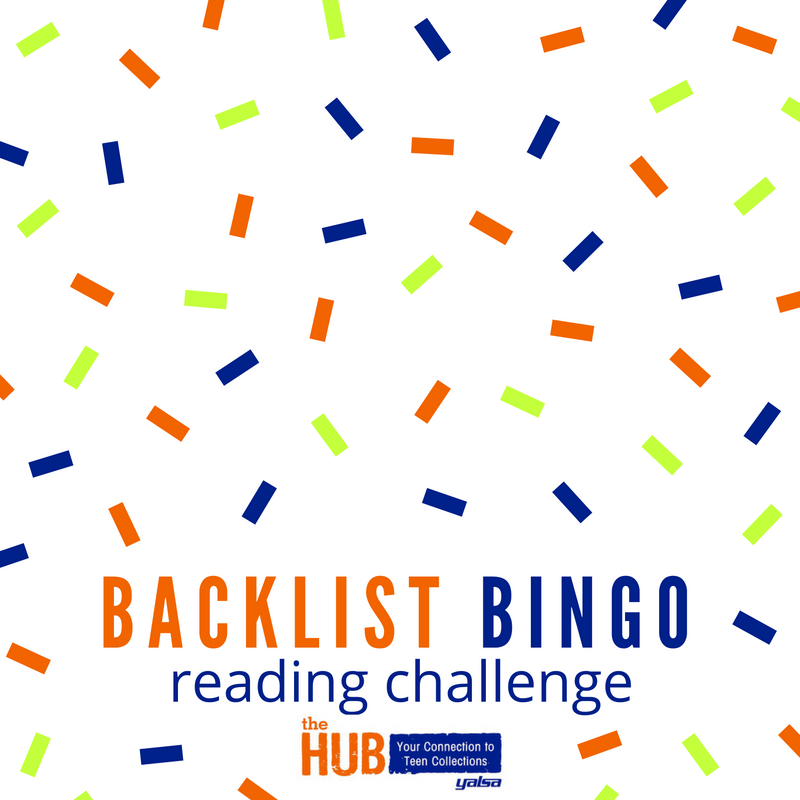 The challenge is simple: read 5 titles from our Bingo Board to complete it, or go for a blackout and read 25 books to knock out the entire board. Continue reading Introducing YALSA’s Backlist Reading Challenge!